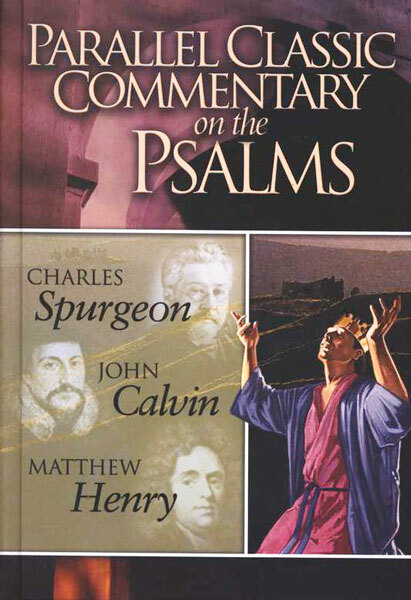 This commentary on the Psalms comes from three of the greatest Bible commentators. Study the Psalms with the assistance of Matthew Henry, John Calvin, and Charles Spurgeon. The Psalms are an amazing collection of praise, prayer and prophecy, and these three giants of the faith bring out the most crucial elements, principles and applications of the Psalms. Parallel Classic Commentary on the Psalms, edited by Mark Water, is an invaluable resource for your Biblical study. Matthew Henry (1662-1714) was a lover of the Bible from his very early years. After schooling in London, he was ordained in 1687 and pastored in Chestor, Wales for 25 years. At his home in Chester, Matthew Henry conducted family prayers at the beginning and the end of the day. In the morning he expounded the Old Testament, and in the evening the New Testament. These expositions, amended as the result of questions and comments from his family and his neighbors, are likely the basis of his commentary. Olive Tree also offers Matthew Henry's Complete Bible Commentary and Matthew Henry's Concise Bible Commentary. John Calvin, a prolific scholar and French theologian, was a pastor during the Protestant Reformation and a principal figure in the development of the system of Christian theology, which is now referred to as Calvinism.